After birth, the calves are lovingly licked dry by their mothers in their stall. After just a few days, they can join the other cows out on the pasture to frolic around and play. A few weeks later, they start eating grass and hay. However, they still can�t digest the fresh green fodder as well as adult cows. That�s why calves keep drinking their mother�s milk for six to twelve months. 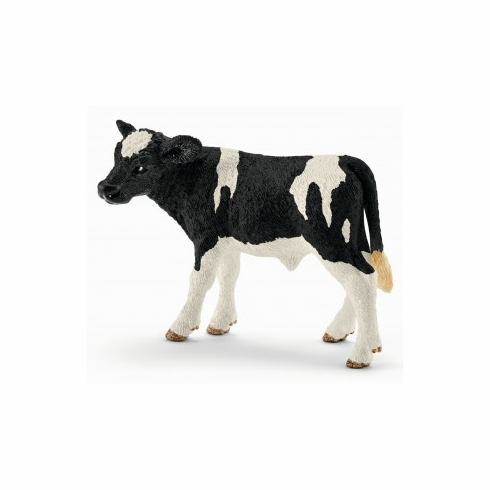 They are fully grown by the age of around five, and can live to an age of between 20 and 25.Part of the Farm Life Series by Schleich. Measures approximately 3 inches long by 2 inches tall.